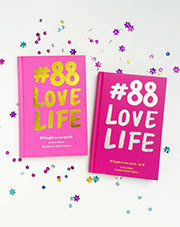 During #88LOVELIFE book signing, I often got asked what are the difficulties in making #88LOVELIFE, how did I and Diana manage the collaboration, etc etc. In this post, I'd like to answer a few questions related to designing in the collaboration itself. When Diana and I first met for this book in June 2014, we knew that Diana is responsible for the text and I am responsible for the illustration and the whole book design. Even though we have our parts, but we discuss for everything that we've put in the book. I gave feedbacks to Diana about the quotes, which one is best, which one is too long, which one comes first, etc. To get the right mood for each quotes, I talked to Diana a lot. Then I made the illustration and the layout (combining the illustration and text to make them look pleasant to your eyes). Things went a little rough for some quotes, that are too long or too hard to be illustrated. I spent my time much more in developing the concept for each quotes, rather than making the illustrations. Because once I got the right concept, everything came out of my head and my hand like a waterfall. After I finished the design, I shared them to Diana, asking for her feedback. As this is a collaboration project between two minds, so I received a lot of feedbacks from Diana (she's a very detailed lady, y'all must know). If you think that my illustrations went straight to the publisher soon after I finished them, you are wrong. 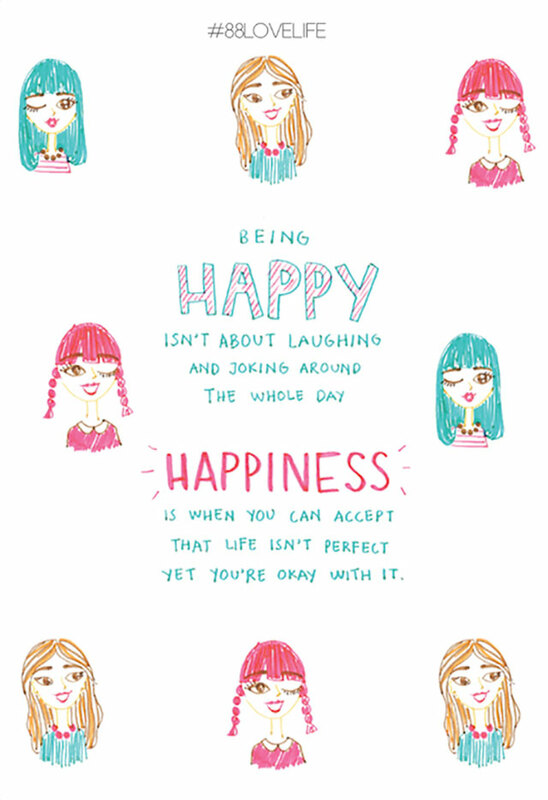 There are a lot of layouts and illustrations that ended up in my hard disk, because they are somewhat off the #88LOVELIFE concept. Those feedbacks are like the unwritten rules and guidelines to make #88LOVELIFE like how you see it today. Below are some of the layouts that are not lucky enough to be in the book. 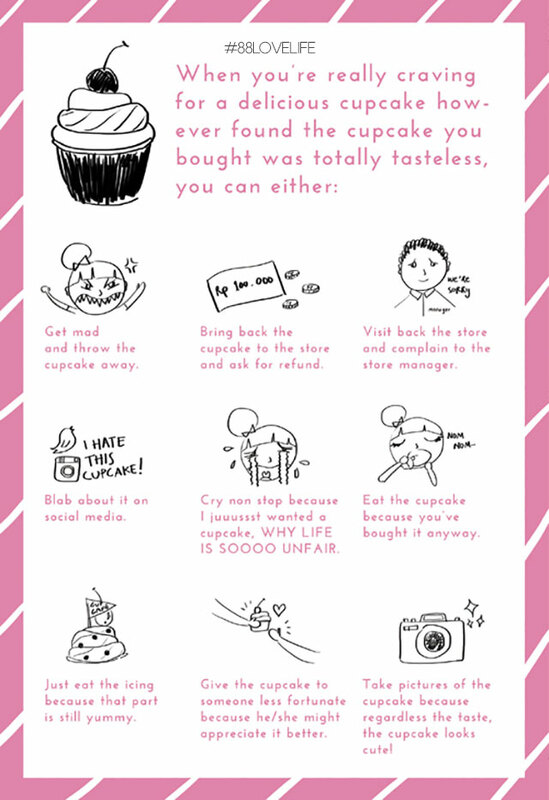 The cupcake illustration is my fave! Yessss the girls are my favorite!